We are specialized in offering an exclusive range of Reducer which is manufactured using qualitative raw material which is in conformation with international quality standards. Our range is available in different specifications as per the requirement of our esteemed clients. These are popular owing to their excellent functionality even in long run. 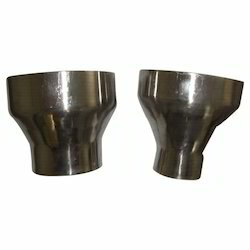 Our range includes SS Forged Reducer and SS Reducer. Our exclusive range of SS Reducer is manufactured using best quality material to offer range with different specifications. These are known for their durability even in long run. These are available in varied specifications offered at competitive rates. Our range ensures minimum wear and tear even in adverse conditions. Known for their optimal performance, these are widely appreciated in the world. Our clients can avail from us an exclusive range of Reducers which is available in two different types one is eccentric and other is concentric reducers. Our range of chains is ideally suited for different industrial specifications. These find their application in sugar mills & distilleries, cement & construction industries, pumps & petrochemicals and steel plants. These are known for their dimensional accuracy even in long run. 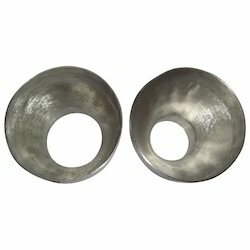 Looking for Stainless Steel Reducers ?